What are the best heart healthy foods? A heart healthy diet plan should start from a young age, as prevention from the start is better than having to treat heart disease symptoms later in life. That is all very well but you are on this webpage because you either have heart disease yourself or you know someone that has or is at risk and you want to know how to prevent and reverse heart disease. First of all, let us be clear on the most common heart disease causes. Heart Disease Causes: Who is most at risk? Heart disease is a deterioration of the arteries and blood vessels in our circulation and the blood vessels that supply the heart itself (the coronary arteries). Heart disease runs in the family so you are more at risk if someone in your direct family has a history than someone that has no history. That does not mean that if you have no family history then you are immune. 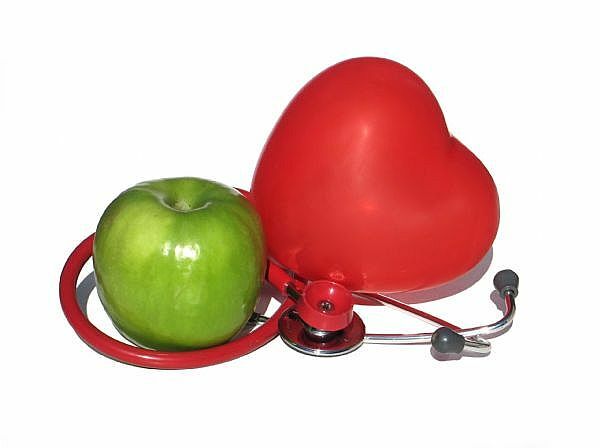 Anyone can get heart disease so a heart healthy diet plan is essential! Lower the amount of total fat in your diet by eating fewer high fat foods such as red meats like bacon, sausages and stake. Reduce the amount of high fat diary foods such as cheese, butter and full fat milk. Eat less cholesterol containing foods such as red meats, organ meats (liver and kidney), egg yolks and shrimps. Click here for cholesterol lowering foods. Avoid sugar and sugar containing foods like chocolate, cakes, biscuits and fizzy drinks, as the excess sugar is converted to fat. Eat more oily fish such as salmon, mackerel and sardines as oily fish help to reduce cholesterol. Eat at least five pieces of fresh fruit and vegetables per day for their fibre and antioxidant content. These foods are also considered cholesterol lowering foods. Eat more complex carbohydrates like wholegrain, beans and pulses, as they are usually low in fat and contain little or no cholesterol. Click here to know what is a carbohydrate. If you are overweight then decrease your portion sizes. This reduces calorie intake, which then aids weight loss. Increase the number of calories you burn by taking some regular exercise. At least 20 minutes three times per week will help burn some excess calories and reduce body fat. Use olive oil when cooking instead of sunflower or margarine, as these oils turn into unhealthy fats when heated. Olive oil remains safe for cooking as long as it is not burnt. Quit smoking, or at least reduce and then quit. The nicotine and carbon monoxide in tobacco smoke cause our blood to clot, leading to restricted blood vessels and increased heart rate. Read food labels to learn which foods are low in sugar and fat.